Gorgeously romantic, this heart-shaped pendant is crafted in luxurious 10k rose gold for a polished and traditional finish. 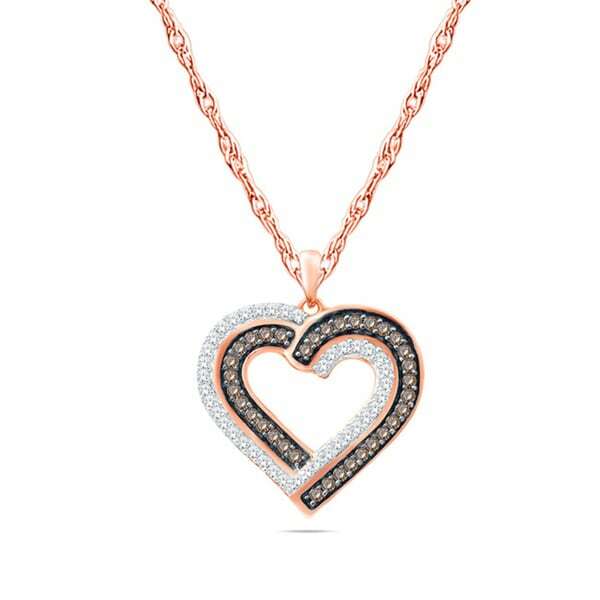 Gift this distinctive pendant to your beloved to surprise her. This heart shaped pendant features graceful look and beautiful adornment of champagne diamonds to make it look lavishing. This pendant will remind her always as it's close to her heart. All weights and measurements are approximate and may vary slightly from the listed information. *T.W. (total weight) is approximate. 1/4 carat T.W. may be 0.22 to 0.28 carats. Treatment code N (diamond). See Treatment Guide for further information.